Have you heard of BB Creams yet? If not, you will do soon because mark my words, BB Creams are going to be BIG NEWS in the UK and I reckon one of the hottest beauty trends. So, what is BB Cream? It stands for Blemish Balm Cream, or sometimes Beblesh Balm Cream; they are both the same thing. I first started hearing about BB Creams a few months ago and have kept a keen eye on developments in the UK sector, as I think it will be a genuinely exciting trend to hit the UK beauty market. In short, BB Cream is a make up/skincare hybrid, offering an all-in-one product that provides skincare, healing, coverage and protection. Although the name Blemish Balm Cream suggests that it is a spot treatment, BB Creams offer much more than that and are not solely for those who suffer from spots. I have seen many people across the internet wonder how BB Cream is different to a tinted moisturiser, and my answer would be that as well as having moisturising and coverage properties, it also helps to heal the skin – sensitivity, acne scars, redness, that kind of thing – and includes a good dose of sun protection. Different BB Creams have different properties too, so for instance some may offer stronger coverage than a tinted moisturiser, and many focus on much better moisturising qualities than your average skincare product. Basically, a tinted moisturiser on steroids! Think of it as a moisturiser, anti-ageing treatment, primer, foundation, skin refiner and sun protection all in one. If it lives up to its promise, that's one hell of a beauty product. BB Cream is by no means a completely new beauty innovation - it originated in Germany in the 1950s from a dermatologist who used it to treat the highly sensitive skin of her laser surgery patients. The aim was to soothe, protect and refine the skin while also providing a light coverage for post-surgery scars, acne and blemishes. BB Cream was eventually picked up by savvy beauty companies who knew this could be big business and bought BB Creams to the general public – they are extremely popular in East and Southeast Asia and according to the Daily Mail, BB Creams account for 13% of South Korea's mass market make up sector. 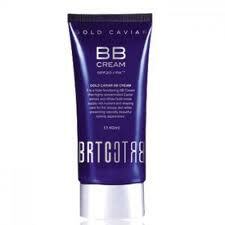 Popular Asian BB Cream brands include Skin 79 Super Beblesh Balm, BRTC BB Balm, Dr Jart and Missha. Now BB Creams are starting to have a real influence in the UK (although a lot of Asian BB Creams have skin whitening properties and I doubt this will translate into the UK versions). I think BB Creams tap nicely into the current beauty trend for a natural, flawless look – if BB Creams deliver on their promise to protect, prime, refine and conceal then all that is needed is a slick of mascara and a dab of bronzer and you’re good to go. There are some BB Creams already available in the UK beauty market – you can pick up DiorSnow White Reveal UV Protection BB Cream at Harrods and Estee Lauder CyberWhite Brilliant Cells Extra Intensive BB Creme at Heathrow Airport, with Mac and Clinique hot on their heels with their own versions launching at Heathrow in July. But what will really bring BB Creams to the UK masses is Garnier’s hotly anticipated addition to the sector; Garnier Miracle Skin Perfector Daily All in One BB Cream (another succinct, catchy name in the world of beauty! ), which launches in August 2011. British Beauty Blogger has already managed to get her hands on a sample, so you can read her review here. Hopefully other UK versions of BB Creams with fuller coverage properties will follow soon, as I think this is what really separates BB Creams from being just another skincare product, fusing together cosmetics and skincare as is the intention of BB Creams. It will be fantastic to see what kind of influence these first BB Creams will have on the UK and how the rest of the beauty industry will follow suit. What makes it different from a tinted moisturiser that has natural, therefore, non irritating/soothing qualities? Still confused! 'Soothing' as a blanket term does nothing to explain it's contents to me. I often use natural skincare, by the simple fact that it has no perfumes or petrochemicals means that it does not irritate.. It's the marketing that I find confusing & what makes it difficult for me to grasp!Is there a particular ingredient that distinguishes it from eg, a petrochemical/perfume-free tinted moisturiser? I agree that the marketing can be confusing Kay! I also think that the original concept of a BB Cream has been diluted in a lot of the UK market versions that are launching; I have read many reviews of different UK BB Creams and some are described as giving good coverage while others are described as being a good primer, etc - whereas the Asian versions tend to have all these benefits in one product. So, rather than being distinguished by a particular ingredient, traditional (Asian) BB Creams differ from a tinted moisturiser by also helping to repair the skin to combat sensitivity, spots, acne scars, redness, etc. They also tend to have stronger moisturising qualities and better coverage than your average tinted moisturiser, and act as a primer on the skin. Unfortunately some of the UK versions aren't really much different to a tinted moisturiser, which doesn't help consumer confusion as to what a BB Cream actually is! So I think it is best to hunt out the UK brands that are doing it well (properly) or opting for an Asian BB Cream (although be aware that many of these have whitening qualities as well).